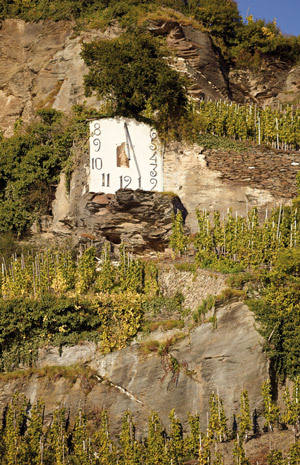 The Sonnenuhr (sundial) is framed by rugged slate rocks, lending its name to the surrounding vineyards. This extremely steep site is dominated by bluish Devonian clayslate with a very stony character that provides optimal airing for the growth of the vines. South/southwestern exposure furtherreinforces the idyllic growing conditions inthese vineyards, which are watered by run off from heavily wooded mountains above. 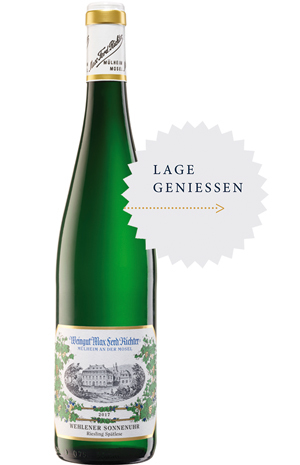 Wines from the Sonnenuhr are characteristically elegant, with ripe yellow fruit, stony minerality, and a long clean dry finish. Inparticular, these wines have great longevity.